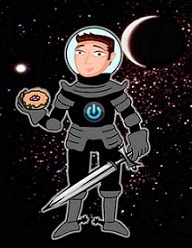 David Powers King: It's Official - I'm A Twitterpated Blogger! It's Official - I'm A Twitterpated Blogger! I'm sure that line's been said to death, but when it comes to the networking tool known as Twitter, I'm a full fledged noob. So I can get away with it, right? The time has come to step it up. Thanks to J. A. Bennett, my Twitter reservations are cleared. 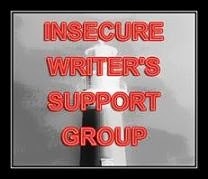 She's a genius writer and a master of building your social networking pages and accounts. A many thousand thank yous! If you Tweet, like I'm about to, I'd appreciate a Follow. Some of you might be wondering about the awesome tradition that this blog once had. What happened to your Shout-Outs? Between the campaign challenges and blogfests, I've had a tough time keeping up with all of my awesome followers. Notice the lack of comments I've left on your posts in the last couple of months? It makes me feel [this] small. Don't panic! I haven't forgotten you. Once this sweet madness clears, I'll be back to my preferred method of doing ... stuff. But for now, I'd like to give a Shout-Out two very new bloggers who are both awesome and deserve a click. Pamela King - She's been in my critique group for -- what, two years now? And she is a talented writer with a firm grasp on the YA novel and a master of the Triangle. Elissa - We met over WriteOnCon, and wow! We have so much in common. Same class. Same state. 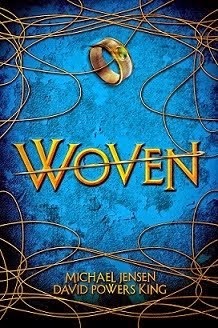 She's a YA Fantasy writer (fairytale elements) and she's a gifted artist (who had a hand in Tangled -- love that movie). Please be a pal and check out their blogs! Update: It would seem the Zombie Novel has taken precedence. They say you should write what you know. 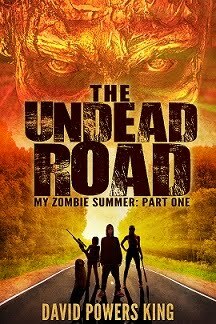 So, while I research what I don't, I'm using my general zombie movie knowledge, general firearm knowledge, and copious road trip experiences help me discovery write this humorously heartwarming survival story. Also, the new website I told you about is launching THIS THURSDAY! I'll post all about it then. And I'll be at the Book Academy (UVU) this Thursday as well. If you're going to go, come and find me. We should hang out! I'm David, and that bird's wings are real tiny! Nope 'fraid I don't Tweet. There just aren't enough hours in the day for that plus blogging and life and housework. Good luck with your WIP. Yes, I wonder how that bird could fly with such tiny wings. I'll go over to your twitter page. Have a good week. If I were on Twitter I'd follow you! I haven't made the leap to a smart phone yet (a necessary tool for tweeting, or so I've been told). When I do upgrade, I'll jump on the Twitter bandwagon and seek you out. I've been on Twitter for a while now, but my progress is slow. I use it, but the short format doesn't appeal to me as much as Facebook or Blogger. Let me know if you learn any good tips! Twitterpated sounds like your Twitter feed is constipated. Carolyn, Mark - I've just started. I'm bad at it, too. Took me two years to figure out Blogger. I'll be on the lookout for you. Miranda - Thank you. And you as well! Madeleine - Yeah. I'm not sure how I'm going to cram it all in either. And thank you! Yeah for twitter! Everyone, I just wanted to let you know that on Thursday I will be doing a post about getting rid of your twitter jitters, so come hang out! And David, so excited the site is going live wahoo! I'm so glad you are on twitter! FUN! I have given you a follow and send you a message too! I can't wait to go check out the new blogs you've mentioned - YAY! Good luck on all that you are doing. It's so hard to keep up with everyone and everything - isn't it? It's all good though. Cause we will still come to visit your awesome blog. If you have an ipod touch you can also abuse that to tweet on the go (provided you have some free wifi). I don't have a smartphone but I use TweetDeck & Twitter's app to get by (TweetDeck keeps things so nicely organized on the computer). Yay twitter! And thanks for the shout-out. Wahoooooo! Cool. Glad to see you have joined twitter. Can't wait to see the sweet new website. Thanks for the blog-refs. Can't wait to check them out. Enjoy the Twitterverse. I haven't joined yet but my countdown to doing so is closer to 0. Not on twitter, but I hope you have fun with it. I'm looking forward to the website. Welcome, welcome good man. 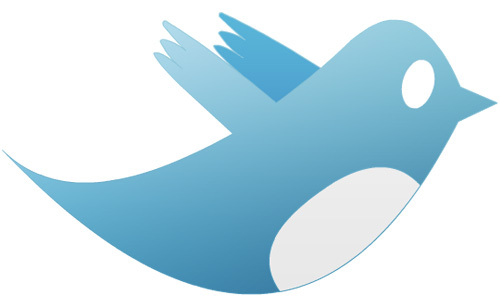 I have to admit I said twitterpated once when I first started tweeting, but I wasn't the least bit apologetic about it! Hmm . . . I haven't tweeted for a while , I better jump back on the train. See you Thursday! Thanks so much for you comment at my blog. I'm glad you enjoyed my entry. It's nice to meet you. I've followed on your blog and on twitter. I see you are in the Rule of 3 as well, so I will definitely looking forward to your entries. See you Wednesday. Twitter is actually a lot of fun once you get the hang of it. You can just google Twitter buttons and find a bunch of free ones. I'm going to go follow you now! I will check out your shout-outs. Oh, and good luck with your zombie writing. I, too, have had to turn to movies for research since, of course, zombies easy to come by (thank goodness). And yes, I did get the book you sent--Thanks! I love books. I'd follow you, but I'm not on Twitter; I don't social network outside of blogging. I know just how you feel! I've had very little time to write lately and even less time to blog! Good luck with your book! Okay, I followed. I think. I still get way overwhelmed real easy with all the social twitting and Facebooking. But, anyway, hello. It's been nice meeting you in REN3, or I guess that should be #REN3.